Why do I need a surety bond for my Washington D.C. Notary Public commission? This surety bond is required for anyone applying for a residential, business, or federal government notary public commission in Washington D.C. A surety bond is a three-way agreement between a Principal (the individual applying for a Notary Public commission), an Obligee (D.C. Office of the Secretary, Notary Commissions and Authentications), and a surety company (the company financially backing the bond). A surety bond does not operate like an insurance policy for the Principal; instead, it is a financially-backed guarantee from the Principal to the Obligee that they fully understand and agree to comply with all laws, rules, and regulations pertaining to their commission (Title 1, Chapter 12 – Code of the District of Columbia). The bond is in place to protect the public of Washington D.C. against any damages caused by misconduct or negligence by the bonded Notary Public. This bond is backed for $2,000/2 years, and must run concurrently with the commission dates. This 2-year bond costs $100. 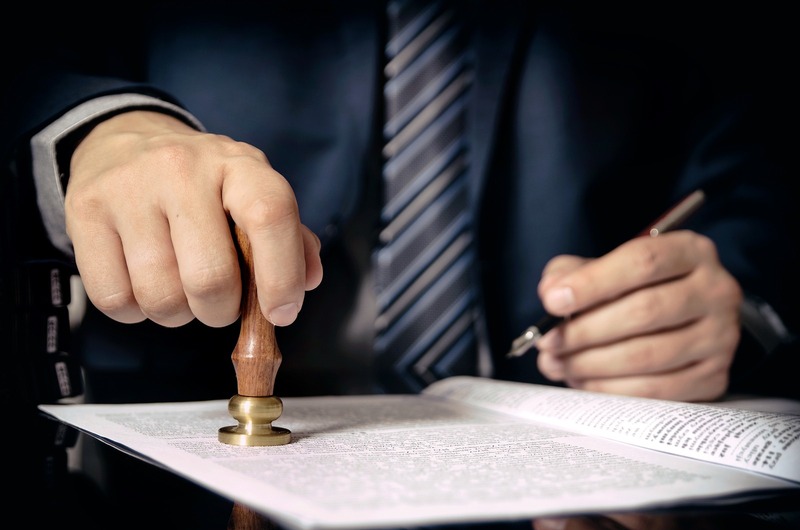 In the event that the bonded Notary violates the terms of their commission and a claim is filed against their bond, the surety company will settle initial payments through the bond. All payments made for a claim against the surety bond must be repaid in full by the Principal. In addition to repayment, your surety company may revoke your bond as a result of a claim, at which point your Notary Public commission will be invalid until you file a new bond. Understand that claims against your bond act as marks against you, and may cause problems with future bond applications. This bond protects the public of Washington D.C. from any damages caused by the misconduct or negligence of a Notary Public. Any individual applying for or renewing a residential, business, or federal government Notary Public commission in Washington D.C. is required to file this bond before being commissioned. If you are renewing your commission, you must file a new bond. This bond costs $100 ($50 premium + $50 fee), and is written for a 5-year/$2000 term. To apply for your Washington D.C. Notary Public Surety Bond, complete and submit the application below. You may also download a .pdf application, and email it to apps@southcoastsurety.com, or fax it to (949)361-9926. If you choose to email or fax your application, please download and complete a payment form and attach it to your documents. Please fill out all the fields below. This bond is instantly approved and not credit check is required. Please fax a copy of your commission to: 949-261-9926 or email attachment to apps@southcoastsurety.com. Once you complete the application below and fax your commission, the bond will usually be processed within 48 hours. Payment must be received prior to issuance of the bond. All credit cards are manually processed after you have accepted the quote and at the time the bond is issued. We will reply to you within 48 hours with a bond quote. We will not charge your credit card until you approve the quote. Please fax a copy of your commission to: 949-261-9926 or email attachment to apps@southcoastsurety.com.